What’s it like to meet a phenomenon? This spiritual master whose work is described as “electrifying” by W magazine takes us through her journey of hard-won success as a young lawyer, through her battles with cancer, to her ascension to one of the world’s top meditation and energy experts. Deborah King has led a pretty wild life: she’s seen men levitate, she’s peeled potatoes, she’s overcome cancer, and she’s fallen ten feet into a remote ravine and had to be airlifted out. Going into the interview I was unsure if we could make a true connection — for my part, I can say I had no idea how interesting she was, nor could I have guessed how many times she would startle a laugh out of me. The sun was setting when I caught up with her and, since she wakes before the sun rises, she had already worked 14 hours that day. Her home office looked like a spiritual enclave of some guru in Thailand, or maybe Bali: jeweled blue tiles on the wall, bright orange orchids sitting on her left, and some statued god or goddess planted on her right. 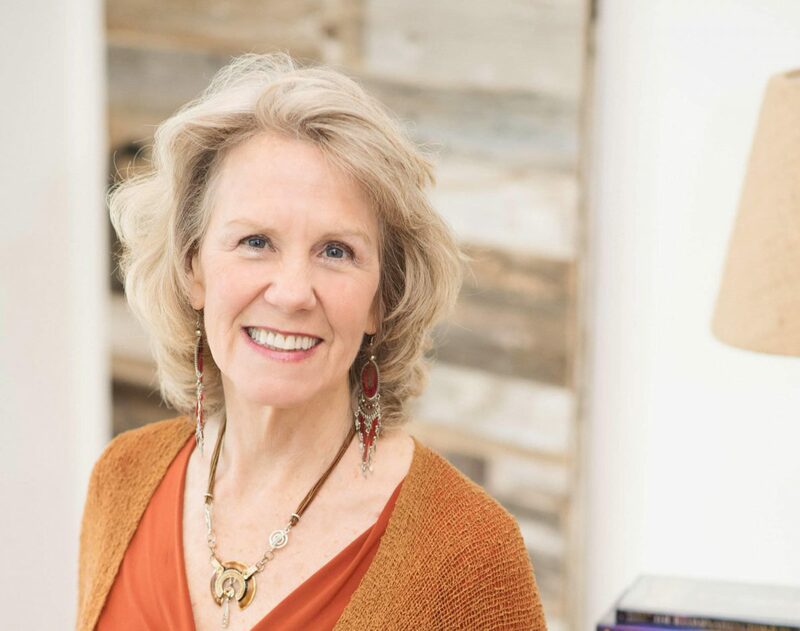 As one of the world’s leading expert energy healers and meditation teachers, Deborah King has traveled to practically every country on all of the habitable continents to learn from the best. Her favorite teachers, though, the “most life-changing ones,” were all from Asia. “Oh?” I respond, my eyebrows raising, my mind turning to figure out the possible logistics of such an extraordinary event. “Yeah, he hovered, like a hovercraft!” The humorous and unexpected comparison plucks me out of my skepticism. “He just hovered.” I’m charmed by her eccentricity and we both break, for the first time since the interview began, into real, unrestrained laughter. Her comment threw me out of balance but at the same time, it’s impossible not to feel comfortable with her. Try preserving your awkward anxieties in the face of Deborah King: a woman who embraces her quirks (and others’) with such grace and joy. When she opens up about her journey to the world of energy healing and meditation, she smiles her signature full-faced smile, her voice upbeat as she says, “It’s kind of a fun one, actually.” It is — but not many people would introduce a story of trauma, cancer, and addiction that way. She had the sneaking suspicion that there could be emotional, trauma-based causes for her illness. But someone like Debra King needed clarity in order to change her life — and there’s nothing that fogs up your clarity more than being an addict. 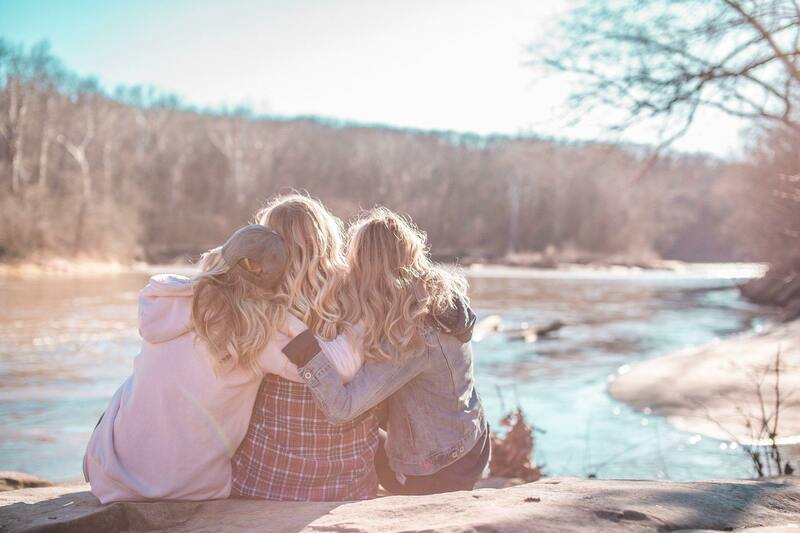 So she removed the alcohol and pills from her life, and she unraveled the lie, the biggest lie she was telling herself, the one anchoring her to unwellness: that she had a happy childhood. The realization Debbie King had about these physical pains having an emotional basis opened her up to the possibility of healing through alternative means. She called her physicians, asked to postpone her surgery to remove the tumor, and they agreed to give her a few months. And through some byproduct of fate-driven intuition, she stumbled upon energy healing and meditation. In her third session, Debra King and her healer looked at each other, knowing that something remarkable had happened. She went back to the hospital later, only to find out she didn’t need the surgery: she had experienced a spontaneous remission. She dove into energy healing practices and meditation afterward. That didn’t mean she didn’t have her setbacks or that her flaws had disappeared. Her pride about a spiritual breakthrough once caused her teacher to send her to the kitchens for a year to peel potatoes — “Well, it’s not always easy to be humble,” she laughs and shrugs. One of Deborah King’s most important breakthroughs came in her tenth year. While she was driving down, she recognized this feeling she had, a “floating feeling” — the same feeling you get, in fact, from meditation. She laughs again, cheerfully, heartily, and for a moment it feels like she’s inviting me to join in on this funny little secret of hers. Through her own healing journey and experiences with spiritual gurus, she had discovered the fast track to spiritual enlightenment. Debra King now teaches her Be A Modern Master course, a meditation course that helps people rapidly release their trauma and unlock their own innate spiritual gifts. She’s helped thousands lead happy and healthy lives in her dedicated pursuit to helping people heal from past traumas and fulfill their spiritual potential, just like she once did for herself. Right before our interview, one of the callers on Deborah’s live weekly Facebook video show came on camera to thank her for her teachings at Mindvalley. Deborah King shared with that student that before her course had started last summer, she had fallen ten feet into a ravine. She had to be airlifted out, stay in the hospital for eight full weeks and in a bed for four months. She still remembers lying in the ravine, motionless, watching the paramedics come down in ropes. And it finally dawns on me that this is the quality that makes her a great teacher, this “permanent meditative state” she teaches her students in her course, Be A Modern Master: come trauma or tragedy, she always rediscovers her balance. That’s all any of us can do — try to lift our body up, up onto that board and surf, even as waves come at you, threatening to upend you. And once you’re up in that sweet spot, once you’re floating above it all, you’re able to appreciate the holistic beauty of the world. Sure, if you lose your balance, you’ll crash — but oh, man, that sweet spot. Life’s never free from struggle, Debbie King shares, but you’re able to ride and enjoy the process until you regain your balance. What’s the most memorable spiritual experience you’ve had? Share your stories in the comments below.